This is an introduction to global warming by an analysis of two pictures. The students can go into groups and answer the questions, and then present their answers to the class. I have chosen cartoons to stimulate them, and make them react. Enjoy! This is a worksheet I have created to start introducing a great figure who fought against segregation in America, Martin Luther King. 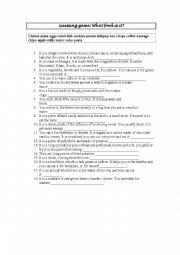 I have used this worksheet several times with my classes and the students loved filling it. They will have to choose the right word among the list and fill in the blanks. Enjoy! Hi! 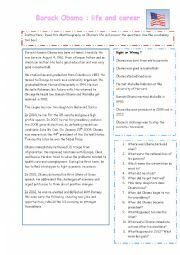 This is a worksheet I have created to study the life and career of Obama. I have included activities of reading (his bio) and listening (Obama´s race speech) and picture analysis of Obama posters and one cartoon related to his elections. The last activity is usually working well in my classes:) HIH! Enjoy! 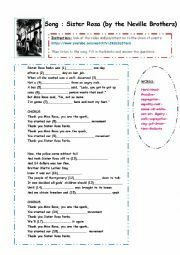 I have created this worksheet as an introduction to the Rosa Parks story: students will have to watch the video clip of the song by the Neville Brothers, listen to the song again, fill in the blanks and answer the questions to grasp the meaning of the broader message conveyed by the artists. Enjoy! 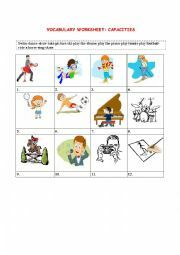 I have created this worksheet after having noticed that my students were not able to memorize the adverbs of frequency. 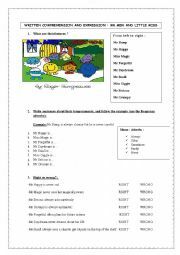 It is based on Mr Men and Little Miss characters, students will have to describe their temperament by using adjectives and adverbs of frequency. This can be done for homework, when you have taught them temperaments, habits. Enjoy! 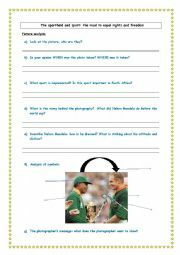 This worksheet is based on the famous picture of Nelson Mandela congradulating François Piennar and the rugby team during the World Cup in 1995. I wanted my students to analyze the picture and to think about values. Enjoy! 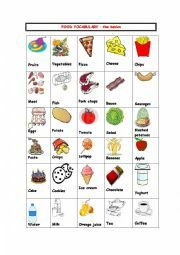 I have created this worksheet to test my students´ understanding of definitions after having taught them the name of food items. They usually find this guessing game easy and this give them confidence in learning vocabulary. Enjoy! Hello! I have created this worksheet for my younger one as to help them to express their capacities in doing such and such actions. This is a really good start before introducing the CAN modal. Enjoy! This is a powerpoint I have created to present the most dangerous jobs in the world, it is also a good start to study the topic of jobs/occupations. I wanted my student to react and give their opinion for a start, before working on more difficult tasks related to jobs. Enjoy! Hi! This is a powerpoint I have created to introduce different kinds of restaurants, places of luncheon or dinner. This can be used at the beginning of your lessons about food, and can give ideas for a future roleplays. Enjoy! 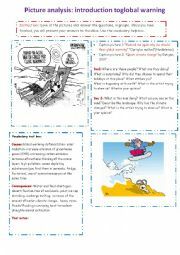 This is a slideshow I´ve made to introduce the future tense in my classroom, the images are taken from timesavers for which I have paid. 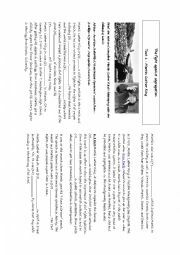 Hope this will help your students to use the future tense without any confusions!